Effective project and program management is essential to any organization, and especially so during times of scarce human and financial resources. APM helps clients design and implement programs and projects. We provide ongoing management support to ensure continuous forward momentum, full communication and organizational integration, and successful outcomes. We frequently join the client team to research, evaluate, and support implementation of their programs and projects. Our experience in this area includes recent engagements in which we: joined a dedicated team to manage a critical and complex Y2K program at a major international airport; researched and prepared requests for proposals for professional consultants, railroad operators, commuter ferry operators, and commercial wireless system developers; developed maintenance and heavy repair programs for publicly owned railroad properties; and provided key support for the acquisition of a major network of railroad lines in eastern Massachusetts. In addition, APM has developed guidelines and operating protocols pertaining to the lease, license, and sale of publicly owned properties for our clients, including standard application forms, coordination and authorization procedures, checklists, file management protocols, reporting requirements, and coordination with legal and accounting staff. APM provides oversight support for freight rail operations and related agreements involving our client’s rail properties. In addition to services to ensure compliance with contract requirements, APM has engaged experienced teams to conduct inspections of rail properties and track infrastructure, leading to development of baseline conditions reports for our client. APM has also conducted detailed reviews of background documents, agreements, investment information, onsite conditions, and other components to help our client assess asset condition, maintenance, and repair requirements, performance of railroad operators, and compliance with related lease and operating agreements. 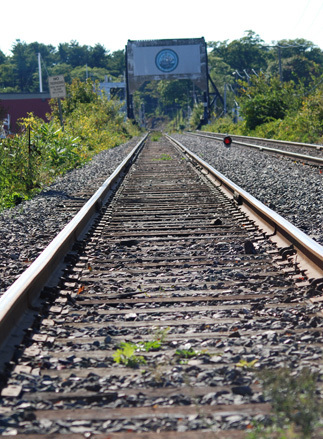 APM and our consulting teams have reviewed title, regulatory, operational, contract, and other issues in connection with the acquisition of rail property for rail trail use and the conversion of rail property to trail use. In addition, we have advised clients regarding proposed property transfers and supported negotiation of transactions on behalf of our clients. APM has also drafted documents for submittal to the Surface Transportation Board (STB), in connection with proposed rail banking, rail to trail conversions, and other transactions involving public use of rail corridors.